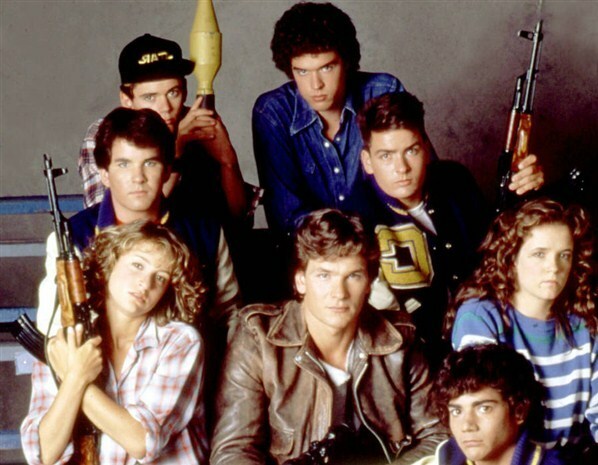 The original Red Dawn, circa 1984. It was the mid 1980s when I first saw the American movie classic, Red Dawn. Set in a small Colorado foothills town, the movie is a classic good guys verses bad guys movie pitting the blood thirsty red army of the Soviet Union against an all American, self-relient cast of characters fighting a guerrilla war of a second independence. I had grown up on a steady litany of stories of the propaganda machine that was the Soviet Union, of their brainwashed populace; of their inability to know the truth. We had Hollywood. And I wonder if Hollywood didn’t do a better job of brainwashing our populace than the Russian KGB did theirs. I spent many a day throughout my elementary years planning the defense of my town from the inevitable invasion of those ‘red devils’, those commies who had plans to blow us off the face of the earth. I had an active imagination but it had plenty of source material. Ask anyone over 40 and they’ll tell you that there was deep distrust of the Soviet empire. And no one knew a single Russian person. We lived off of myth. And then the myth fell down. It was the Berlin Wall actually, but it is hard to imagine now the fear that so gripped the west for so many years. So afraid of the communist threat was our nation that we entered bloody wars, we propped up cruel and tyrannical dictators over those who were democratically elected, we pumped millions of dollars in support to the mujahadeen in Afghanistan and we allowed our daily rhetoric to be that of vitriol, hostility, culture assassination, exaggeration and hysteria. This is not to say that there was not actually a threat. I’m quite certain there was – competing ideologies by the world’s standards most always lead to confrontation. And when the two groups holding the ideologies also have a lot of nuclear bombs, then the threats escalate. I was sitting in a book store under an Istanbul mosque several years ago talking with my friend Serdar about politics and faith and we began talking about the tension between the east and the west. I was trying to see a way forward, to see a way to better relations, to see some hope but Serdar stopped me. He said it so matter a factly, as if it were true; gospel fact. Is it true? Do we need an enemy? Do we look for a bad guy in order to make ourselves feel better? I am not sure that we “need” an enemy but I am sure that we do have one. Jesus tells us in John 10:10 that “The thief comes only to steal and kill and destroy.” So yes, we do have an enemy. But too often we mistake him for someone else. Depending on your persuasion it could be the communist or the catholic, the Muslim or the Jew or the evangelical Christian, the right wing conservative or the left wing liberal. We end up creating gross over generalizations of entire groups based on their very worst examples. We vilify them as the enemy and neglect any real conversations that could lead to understanding and honoring relationships. And we keep doing it over and over again. We keep repeating the past. I have been reading Mustafa Aykol’s book Islam Without Extremes: A Muslim Case for Liberty and it has been enlightening to hear the scope of Islamic history told from the point of view of a Turkish, Muslim scholar and journalist. Aykol’s perspective serves to reinforce the value and importance of reading widely and from a broad range of perspectives, of reading patiently while waiting for a more nuanced, deeper understanding to emerge before casting judgment. By way of example, Aykol’s handling of what we in the west call the Armenian genocide – for indeed it was a genocide – is framed in the historic backdrop of the rising tide of nationalism which was sweeping through Europe at that time. What happened in Germany to the Jews because of this rabid nationalism had happened in the Balkans, the Caucasus and the Crimea twenty years prior as countries there waged wars of independence from the Ottoman Empire and in a victorious wave of nationalism, drove out or slaughtered hundreds of thousands of Turkish Muslims and Jews. These atrocities fueled the Ottoman people’s own nationalistic impulses which led to the ethnic cleansing of Armenians in the second decade of the 20th century. What happened in the Balkans in no way justifies their actions toward Armenians in Anatolia, but it does frame these terrible events in the complex context of the tension of those times. Gaining a deeper understanding of the complexity of the historical and cultural context helps us to have more meaningful and respectful conversations with those with whom we disagree. Remaining outside of this place of deeper understanding leads to intolerant and insular positions bound up in the darkness of falsehood, slander, hypocrisy and injustice. In To Kill a Mockingbird, Atticus Finch tells his daughter Scout that, “You never really understand a person until you consider his point of view, until you climb into his skin and walk around in it.” He might well have added historical events, people groups and even religions to his statement for unless we are willing to climb into the complexity of the historical and cultural context of those, we will never truly understand them. Click here to find Islam Without Extremes at Amazon. Pastor Aaron left early to head down south for a class he is taking and he asked me a month or so ago if I could fill in. I said yes and I am still processing the experience. The process of prayer and study and writing the sermon was quite a good one. It allowed me to come to new insights, to grow, to be stretched as I thought about the text – Luke 9 : 23 – 26 – and about how to share what I felt I was hearing and learning to a congregation who is not me. And yet, I don’t know if I would preach again. I am just not sure it is worth the time investment. I am not sure that my preaching affected any change, not sure if it drew anyone closer to the Lord, not sure if preaching in general is worth the effort. This is something I am wrestling with so I am not writing off preaching. I just don’t know that placing the Sunday morning sermon as the cornerstone of church discipleship is wise or helpful. Again, I am processing aloud here so don’t take offense if you regularly deliver the message Sunday mornings. But as I read the Bible I see Peter preaching to large crowds but then those crowds gathering in homes (presumably in small groups) to discuss and pray and worship and hold one another accountable, and to confess to one another and to meet one another’s needs. I can envision discipleship taking place in that setting. I am having a hard time envisioning discipleship taking place through a weekly sermon. The best way to grow in Christ is not in a classroom and it’s not by listening to another sermon. The best way is as Jesus taught, to follow him, and friends, we must surely know that Jesus is on the move. But again, I am working through this thought process and because of that would love to hear what others are thinking, are observing in their own church setting or finding in scripture. Oh, and if you’d like to see it, here is a link for you to take a look at my sermon. It has finally come to pass that we were able to plant our potatoes. 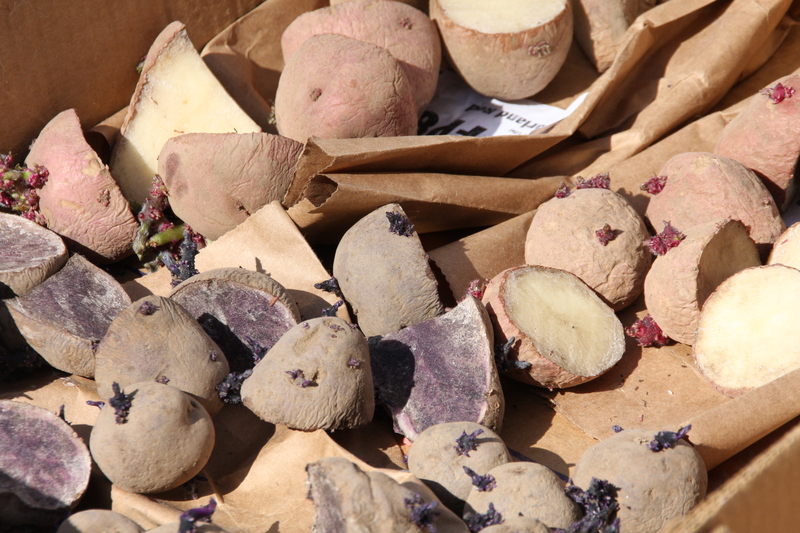 Our goal is to grow enough potatoes to last until March or April of next year – we did that once a few years before moving to Turkey and would like to do it again. 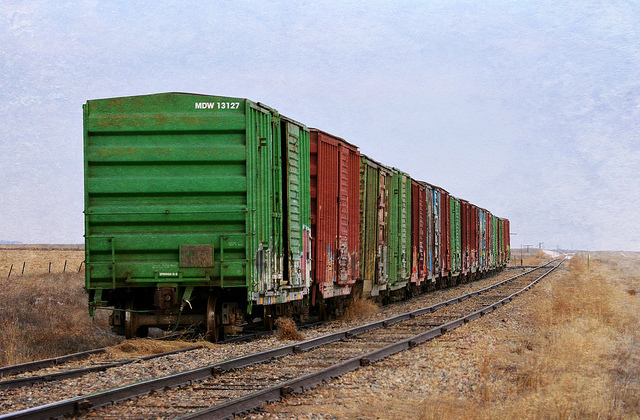 I’m not sure if we ordered enough seed though – it’s been a while since we’ve done this and so we lack the recent experience we need to know exactly what we are doing. But we are keeping records so that we can keep track of what we planted, what did well and how much we produced. 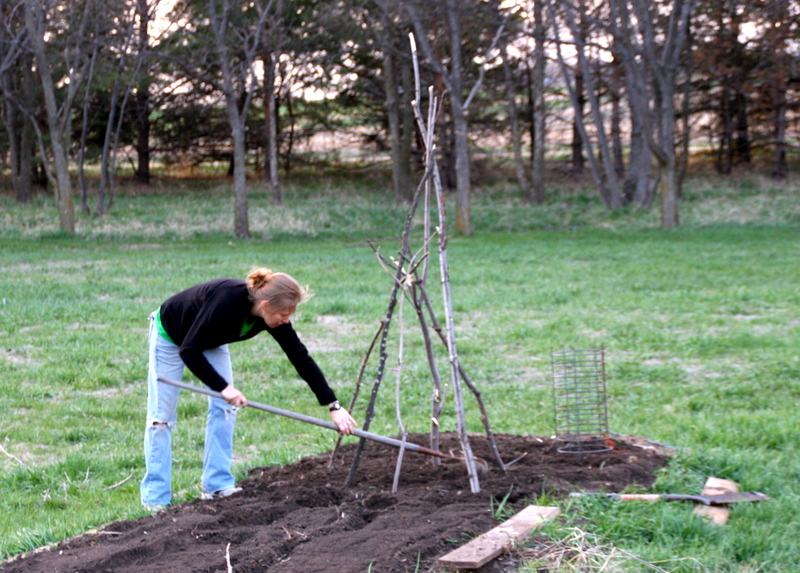 At any rate, it was a lot of fun to prepare the garden beds and plant. Colorado Rose potatoes – we’ll see what these are like. In so many ways, gardening and growing our own food is just another part of cobbling together a lively hood, a life here in the states. It is a slow journey, one that recently has felt a bit buried in the darkness of discouragement and wondering if we can do this. 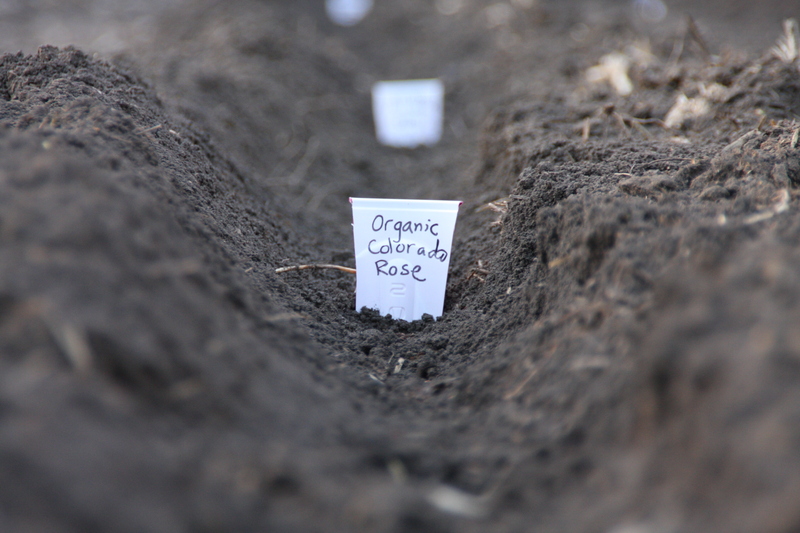 But there is something about digging in the dirt, about laying down seed with the hope – and the faith – that from that dark grave, new life will grow forth. 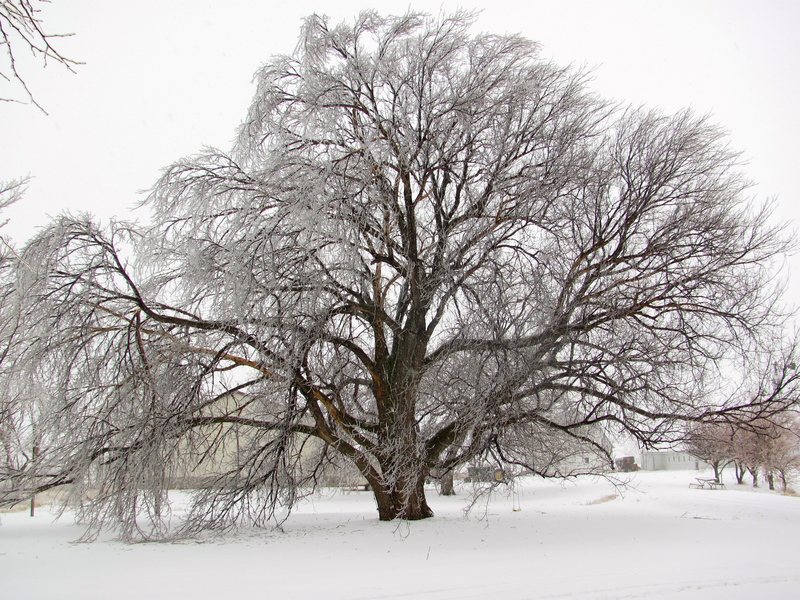 Our winter here in South Dakota has seemed to drag on a bit further into spring than I would have expected. It is our first spring in the states in over five years and so I have been looking forward to it with some excitement. In Turkey, I always relished that first morning that I was able to comfortably enjoy our balcony for my morning routine of journaling, reading, prayer and quiet. The birds singing, the air crisp and the feeling of fresh air a marvolous reminder of the beauty of this world. I’ve been looking forward to that moment here as well. We have a nice back patio too and I’ve been getting it ready; sweeping off the leaves, cleaning the winter grime from the few pieces of patio furniture we have, and waiting. Waiting seems to be a theme in my life. I’ve been back in the states now going on ten months and I’m still waiting to feel settled, to feel like I can settle. I came across a quote from Paulo Coelho the other day that seems to mark my progress. Waiting is painful. Forgetting is painful. But not knowing which to do is the worst kind of suffering. Perhaps a little melodramatic but it in some ways gets to what I’ve been working through these last months. The Scriptures contain many stories of people who waited years or even decades before the Lord’s promises came to pass. What modern believers can learn from the patience of biblical saints like Abraham, Joseph, David, and Paul is that waiting upon the Lord has eternal rewards. This morning I ventured out to the back patio for my first morning outside in the fresh air this year. It is supposed to be 78 degrees today. 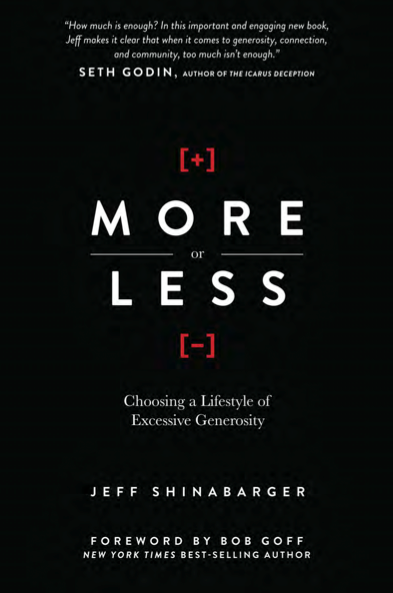 I just received a free copy of Jeff Shinabarger’s new book, More or Less: Choosing a Lifestyle of Excessive Generosity. My receiving it free highlights one of the true advantages of the digital age – advanced copies of books are virtually free to give away and help spread the word. I am excited about the book. The endorsements and table of contents get me very excited. Living simply is a topic rich in the history of my personal journey and one that was put far back on the shelf when we lived in Turkey. I’ll write a proper review when I finish it. Now that we are working to settle back into life in the states, simplicity – living more with less – is a value I’d like to recapture and I am hopeful that this book will be part of that journey. We’ve enjoyed nearly six months house sitting a grand home but will be moving into a new home at the end of the month. We are looking forward to getting into our place that we can take a bit more ownership over, even as we rent to begin with. We just today got a package in the mail filled with packets of heirloom seeds from Baker Creek Heirloom seeds.